THE suspect in the road rage that led to a physical tussle along MacArthur Highway recently was arrested Tuesday night, November 13, and charged before the City Prosecutor's Office in Angeles City. 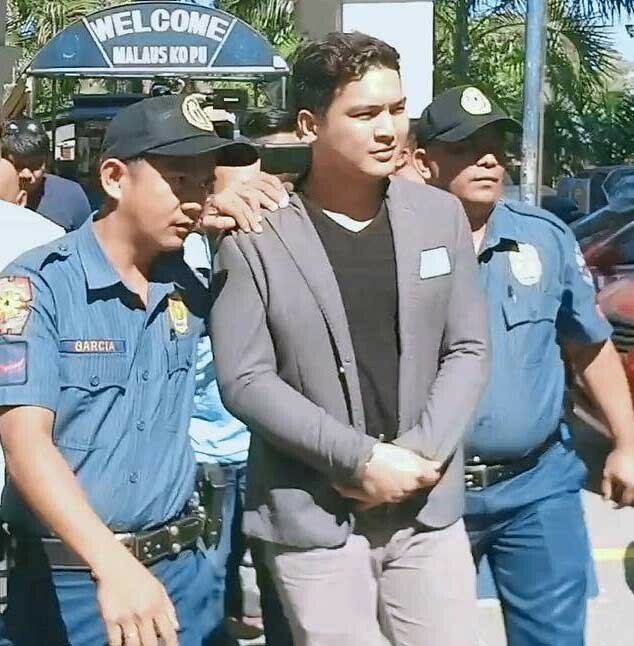 Jojo Serafico Valerio, 30, a singer, is now detained at the city's Police Station 4. He was charged with serious physical injuries, grave threat, usurpation of authority, and violation of Republic Act 4136 or the Land Transportation and Traffic Code. Valerio is said to have regular gigs with his band in Angeles City. On Monday, November 12, the victim identified as Jesusito Juan Palma, 26, a nurse and a resident of Barangay Cutcut in Angeles City, personally reported the incident. Closed-circuit television (CCTV) footage that went viral on social media showed a man throwing punches on a motorist in the early morning of November 11 along MacArthur Highway in Barangay Balibago, Angeles City. The suspect fled on board an FJ Cruiser with a protocol plate Number 8 which is issued only to congressmen. Joint elements of the city police, regional police intelligence unit, Criminal Investigation and Detection Group, Central Luzon Highway Patrol Unit and the Tarlac Provincial Police conducted a hot pursuit operation which resulted in Valerio's arrest Tuesday night at Bucketteers Resto Bar at JJJ Revita Building in Barangay San Rafael in Tarlac City. Pampanga First District Representative Carmelo “Jon” Lazatin II earlier denied that he is related to the suspect. Lazatin also belied rumors that he owns the vehicle used by Valerio.